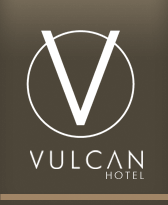 Vulcan Hotel Sydney at Ultimo provides affordable boutique accommodation with an inner city location in Ultimo NSW. Positioned on the corner of Mary Ann Street at 500 Wattle Street in Ultimo NSW 2007, Vulcan Hotel Sydney has the ideal central location with easy access by all types of transport at your door step. The Vulcan is easily accessible if you remember to take into account the one-way system. You can only approach the hotel end of Mary Ann Street from Wattle Street. If you find yourself on Harris Street, turn into Thomas Street and then right into Wattle Street. If you get lost call the hotel on 9211-3283 and someone will endeavour to give you directions.